As I'm sure you all know, there's no such thing as the "Natural Wine Movement", except in the sociological sense, ie in the same way that there's a "Risky Sports Movement", a "Recycling Movement", a "Real Ale Movement", etc. There's not really a Secret Inner Ruling Council (even though I leaked the agenda from the last meeting here! ), no membership cards, no statutes, no articles of association, no head-quarters, no offices, no rules, no nothing. - Producers (associated or not). There must be a few thousand, producing an average of say 5 to 10,000 bottles a year. Mostly artisans, tiny part-timers with no webpage, selling only locally to friends and neighbours; some small viable businesses, with proper labels, distribution and sales networks; and even some bigger ones bordering on industrial style wineries. And there's a whole grey area of traditional long-standing producers of fine wines who may or may not be 'natural' depending on your deifnition! - Traders (importers, distributors, wholesalers). Difficult to work out how many there are, as some carry both natural wines, organic wines and conventinal wines in their portfolios. - Retailers (winestores, restaurants, winebars). Again difficult to work out how many there are for the same reason, though I believe that more and more such places are opening up. Seems to be the only sector growing this days in the midst of a recession! - Writers, journalists, bloggers. 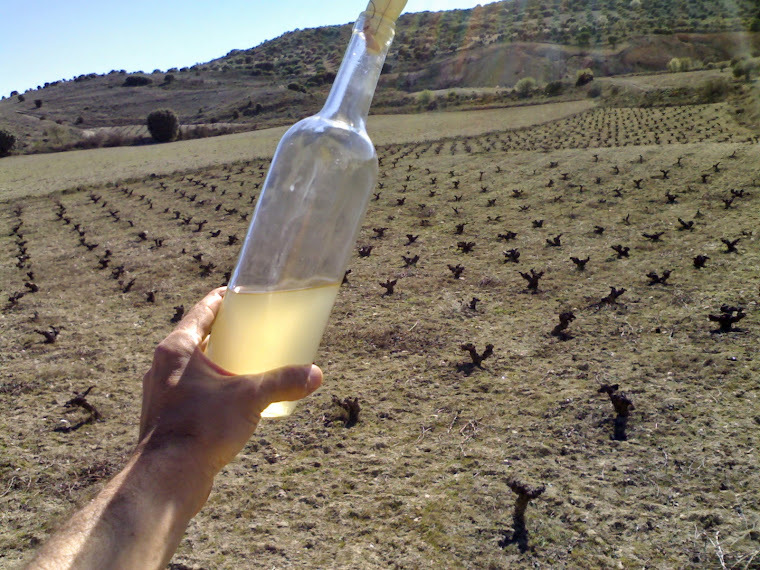 I don't think many actually focus exclusively on natural wines, though recently over the last year or so, more and more conventional wine writers have started mentioning natural wines - usually negatively and/or focussing on side issues. - And lastly, consumers, with every kind of day-job under the sun, but who at night come out and indulge in their passion for natural wines. The most inportant category of all, because without consumers, the rest of us would have nothing to do! There must be thousands of them, and increasing in numbers every day. legislation passed on this? I think talking about this issue over a glass or two of natural wine is about the only effort I'm going to make in that direction! Cheers! It would be far too boring (both for me and for the readers of this post) to draw up my own list of forbidden substances and processes, in yet another personal definition of natural wine! Instead, I've decided to abide by Joe Dressner's 14-Point Manifesto, which you can read here (on Cory Cartwright's Saignée blog). "I have the right to delete, add to or modify any of the above-mentioned 14 Points, based on how I happen to be feeling at any given time. So there!". Also, I've decided to publish the information on the wines that I produce, with details of what I do and don't do to each wine. On this blog (and on my future webpage), on printouts, and on the back-labels. That way, the consumers can all decide for themselves of the wine in question is natural or not, or just how natural it is on the scale of naturalness. Below is a draft of the back-label that I've been working on. It would be great if you could give me some feedback on it. I'd be especially interested in your thoughts on the inclusion what the wine DOESN'T contain and what HASN'T been done to it. Is this legitimate? Is it disrespectful or denigrating? Is it legal?! Is it a good idea? Does the consumer have the right to know both what's in a product and also what's NOT in it? Whatever! Any thoughts would be greatly appreciated. I consider this bottle of wine to be natural wine because of the Ingredients. I also consider this bottle of wine to be natural wine because of the Processing. I believe that all the above information is legitimate and relevant, and that the potential consumers have the right to know about the ingredients and processing of the product they are about to buy. Since when does a 'movement' have to have rules and leadership? Change happens from the ground up without. Music, art, fashion, food. Do you define yourself by what you don't do? Marketing doesn't just happen on the label. My favorite natural vineyards do a complete disclosure of what they do for every wine on their site. For those who care, a URL will suffice. Would I call out Organic, Bio-D and 'No Sulfites'? This consumer would care. And many others do as well. Labels disclose but don't define nor brand in my opinion. Sorry, can't agree with this. In it's present form. Your wine does contain acids. Not additional acids, but it does contain acids. It does contain sulphites. No matter how little, sulphites are naturally there. Fruit juice, yes you have that too. Grape is a fruit, it's juice makes wine. Unless you plan to test, you might have traces of pesticides etal...there are drift issues with farms that are close to each other. You do clarify the wine. Maybe not fully, but you do clarify, by letting it sit in the barrel, and rest. I've seen your wine, it's definitely clarified to some extent. I personally think you need to think about this, before you commit to saying you do or don't do something. Clarity is very important, and the above items would make me think that you hadn't fully considered all the issues. Why not just put a qrcode on your back label that goes to one page. A page that lists your philosophy? Do that and you can keep it up to date, and relevant to the latest vintages and other info! Ryan, thanks for that. Yes, clarity! I always take too many things for granted! Of course my wine contains acids, sulphites, water, grape juices, etc; what I'm trying to say is that it doesn't contain any 'added' acids, sulphites, etc. And it's clarified by gravity and time and the cold of winter, as opposed to with some substance or clarifying agent. Thanks again, and I will definitely be thinking a lot about this before printing anything. Added acidity is another thing and what I knew you were talking about...but I am a wine geek. A wine consumer will wonder about that. if you want to list ingredients, then just list ingredients used. Don't list "non-ingredients". Let the wine speak for itself. Let the customer find your website, and discover your philosophy there. I was pointed this way by our amico in comune, Arnold Waldstein. Great blog and great post, complimenti. We make between 6.000 and 12.000 bottles annually. We are not organically certified since we have too many neighbours on one of our vineyards. I am considering carbon-free certification but I am concerned that these symbols only give a part of the picture and are not recognised world-wide. My solution has been QR codes, social media/blogging about our processes and having an open doors policy on the estate. When people have seen the butterflies - or my childrens' swings next to the vineyards - they can easily extrapolate our philosophy. I understand where you're coming from about the What I Don't Include/Do but I think that it might end up being confusing for some consumers. Thanks very much for your comments (and sorry for taking so long to publish them, I only just now noticed that there were comments awaiting moderation!!!) You've all given me lots to think about.